Ancient Rome History for grades 5-10. This will be our second time around homeschooling history for my eldest. My curriculum is stored by time period. I gather books from thrift stores, friend donations and the library book sale and throw them in the appropriate box. Free Downloadable and Printable Living Book History “Living Book” of stories set in different historical eras (ancient China & Egypt, among others), showing how different mathematical concepts were developed and became a part of civilization." This is a 5 part series that is both a documentary and bible study. I picked up the study guide from Abebooks for $4 and will be leading my middle and high school students in a deeper biblical application study. 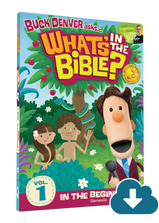 We have a subscription through our church that allows us to view What's in the Bible. I can say I learned (relearned) SO MUCH from this querky series. Highly recommend it! more about the common core history standards as written by David Coleman. 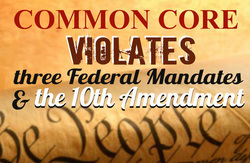 Click Image for a link to a video speech about Common Core. free of common core. designed with common sense. Our science lessons are centered around learning standards created long before Common Core. They are designed to engage and excite curiosity. Hands on, multi media and experiement suggestions included.